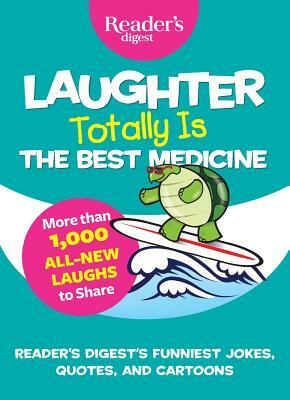 This collection of laugh-out-loud, clean jokes, one-liners, and other lighthearted glimpses of life—drawn from Reader’s Digest magazine’s most popular humor columns—is sure to tickle the funny bone. Packed with more than 1,000 jokes, anecdotes, funny things kids say, cartoons, quotes, and stories contributed by professional comedians, joke writers, and readers of the magazine, this side-splitting compilation pokes fun at the facts and foibles of daily routines, illustrating that life is often funnier than fiction. Why do Pilgrims’ pants fall down? Because their belts are on their hats! Overheard in an office: Supervisor to team leader: "So our people aren’t astute enough to understand these comments on the document?" Leader: "What does astute mean?"